Product Consist: Day1: Bunch of 15 Red Roses :: Day2: Bunch of 12 Red Roses along with 1/2 Kg Round Shape Black Forest Cake :: Day3: 50 Red Roses Basket Arrangement and 1 Kg Heart Shape Round Chocolate cake along with 6 inch Cute Teddy Bear. You are looking for classic gift that excellent as well as stylish look. 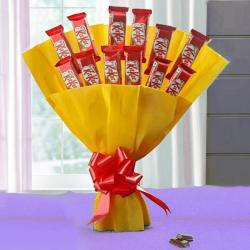 Here an amazing serenade and see your loved ones being surprised for 3 days in a row what you need. Light up your loved ones with happy smiles by treating them to this sumptuous gift hampers that comprises with 3 Days Delivery. Gift this soft, smooth and cuddly teddy as a great gift to your loved one. 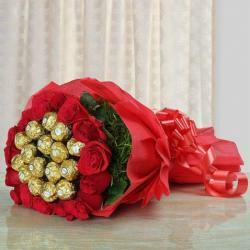 Roses bouquet and arrangement will make the person refreshing for the day. Great for all kids (and adults) who love to hold, hug, cuddle and treasure. Cake is best gift ever in dessert in any age all loves to eat the cake. 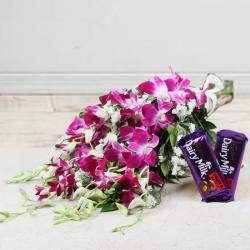 Make all three day special, precious and memorable with this exotic arrangement for your loved once. 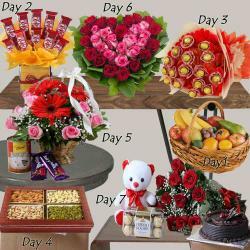 Product Includes: Day1: Bunch of 15 Red Roses :: Day2: Bunch of 12 Red Roses along with 1/2 Kg Round Shape Black Forest Cake :: Day3: 50 Red Roses Basket Arrangement and 1 Kg Heart Shape Round Chocolate cake along with 6 inch Cute Teddy Bear.